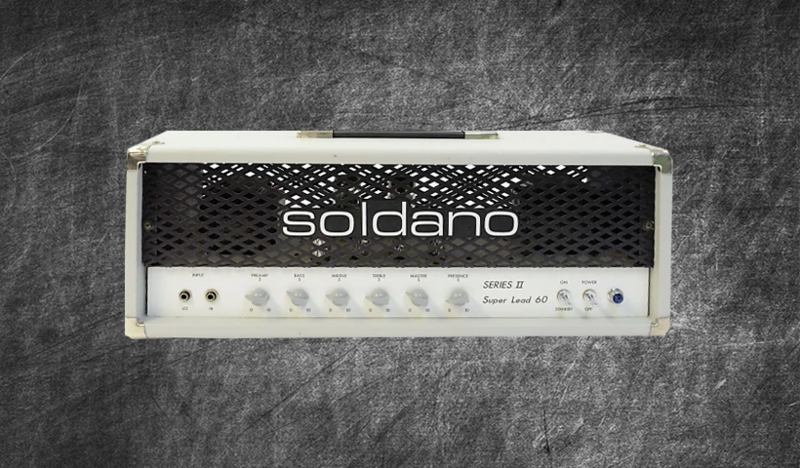 The Soldano Super Lead 60 Series II is a fantastic versatile head in a single channel. Offering various tones you’re able to selective dial in your desired sound with its responsive front EQ and it also has a lot of gain on tap. From glassy cleans , dirty blues to that famous Soldano rock tone – the Soldano SL60 is a juggernaut. Naturally an open-ended amp that has a very prominent mid range you’ll find your playing taken to the next level with this collection. The pack contains: 23 DIRECT , 3 MERGED and 48 STUDIO profiles. Cabs include: Mesa Boogie, Zilla Cabs, Marshall, Bogner and Orange. Non boosted and boosted profiles are including with pedals such as Suhr Riot, Boss Blues Driver, Klon Centaur, Keeley TS808, MXR Wylde OD and a Seymour Duncan 805. Special bonus: 3 profiles using the settings used by Extreme on the album III Sides To Every Story.